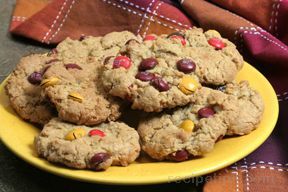 You can make these delicious cookies your favorite by adding chocolate chips, butterscotch chips or anything you like. Cream together butter, sugar and brown sugar. Add dry ingredients. Stir in cereal and coconut. 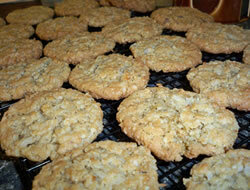 Drop by spoonfuls onto cookie sheet. 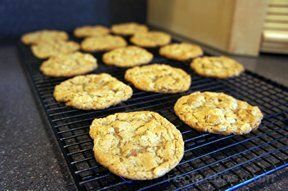 Place a pecan on each cookie, if desired. Bake at 375° for 10 minutes. "These truly are my favorite cookies. 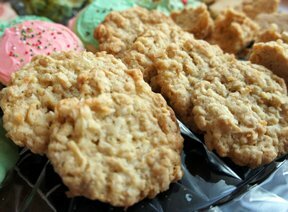 My daughter brings them to me and now, if I get around to baking, I can make them myselves whenever I feel the need."